Ed Martin, hard at work this past summer at IMACS. Yes, his desk is always that organized, just like his mind. It is with bittersweet emotion that the co-founders of the Institute for Mathematics and Computer Science (IMACS) announce the retirement of partner, colleague, teacher and friend, Edward C. Martin. 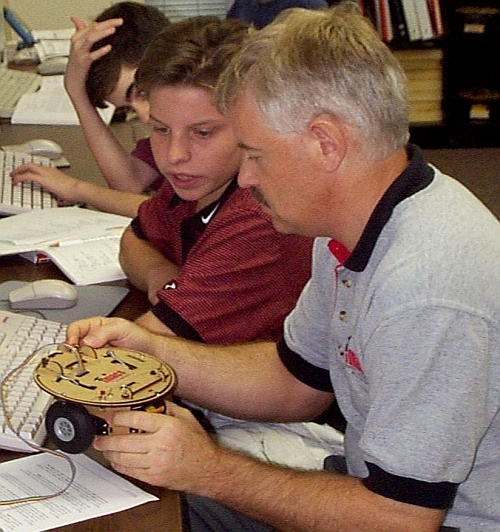 Ed has enjoyed a prolific career of nearly 50 years in mathematics education. What follows is a modest attempt by two of his students to share highlights of a life dedicated to inspiring young people through his exceptional writing and teaching to study mathematics. For Ed, the most rewarding part of his career has been “witnessing students come to the realization that mathematics is a big, wonderful, logically-connected, all-encompassing, intellectually satisfying Garden of Earthly Delights.” If you were fortunate to have been a student or colleague of Ed’s, please take some time to leave a comment with your memories and wishes for retirement. He will enjoy reading every word! As a young student at St. Ives County Primary School, Ed found math to be “very routine.” Nonetheless, it was important to do well because in England at that time, a compulsory, nationwide exam determined whether a child would attend an academic secondary school with an emphasis on university preparation or a school akin to a trade school. Ed’s family actually moved to Brighton around this time, but he stayed in St. Ives with his grandparents to minimize any disruption in the year before the all-important exam. After the exam, Ed joined his family in Brighton. His scores earned him a spot at the Varndean Grammar School for Boys where his father was a math teacher. Four years later, his father began teaching math at Worthing High School for Boys, and this is where Ed completed high school. Interestingly, Ed’s father never addressed him by name in class, opting to call him “you” instead. But their bond was clearly a special one. “We would laugh ourselves silly over some incident that had occurred in math class that day, much to the bemusement of the rest of the family, who could understand neither what we were talking about nor why it was so funny,” remembers Ed. After high school Ed attended Fitzwilliam College, one of the colleges that form Cambridge University. Unlike in the United States, a college student in Britain concentrates on one area of study and takes courses related only to that subject. Of course, Ed studied all courses in mathematics! At the time, the Department of Pure Mathematics and Mathematical Statistics was housed in an old multi-story building surrounding a quadrangle near the center of town in Cambridge. “It always amused me that, as you left the complex and went out onto the street outside, there was a notice on the archway that said â€˜You are now entering the real world’,” recalls Ed with a smile. Throughout his years at Cambridge, Ed studied under several famous mathematicians, including John Horton Conway, Peter Swinnerton-Dyer and John Willis. Ed fondly recalls his weekly one-on-one tutoring sessions with Professor Conway. Ed was Conway’s student at the time Conway was working on one of his most famous discoveries, the classification of simple groups. “On one occasion when I arrived, he was obviously very excited,” Ed recalls. “So I asked him what was going on.” Conway hadn’t gotten any sleep the previous night because his bath had been interrupted by a phone call from Fields Medal winner Professor John G. Thompson, then of the University of Chicago, who wanted help in analyzing a new discovery. So Conway jumped out of the bath, sat down soaking wet at his home office desk, and worked right through the night! Ed Martin with former student-turned-colleague, Dr. Ted Sweet. 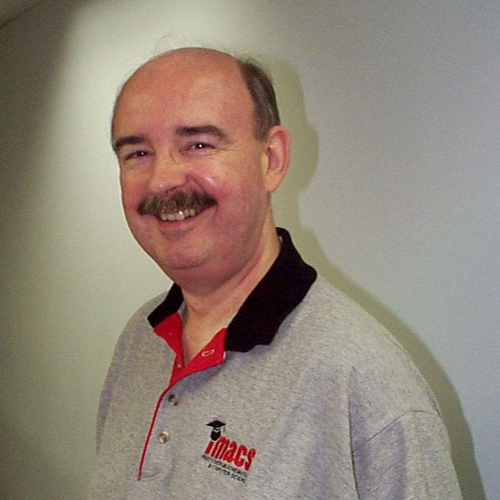 Dr. Sweet earned his PhD in Probability from the University of California at Los Angeles and serves as Director of the IMACS Curriculum Development Group. After graduating with his bachelor’s degree in May 1969, Ed did something completely unexpected but probably a lot of fun! He and two friends bought a Land Rover and spent three months driving through southern Europe. They traveled far enough to roam around northwest Africa and the northern limits of the Sahara Desert. During the decades to follow, Ed would go on to become a respected and beloved teacher of over 1,700 students, not counting the many more who benefited from the textbooks and online courses he wrote and edited. Whether in a classroom or online, Ed’s students know him to be the kind of teacher who brings clarity to complex ideas without watering down the rigor. He can instantly see the flaws in a student’s thinking and knows just what and how much to say to get a student back on track. In fact, one of those lucky students, Terry Kaufman, would one day co-found IMACS with Ed. As Ed completed his postgraduate year at Cambridge, he applied to various American universities, seeking a graduate assistantship while simultaneously studying for his PhD in mathematics. The chairman of the math department at Southern Illinois University (SIU) received one of Ed’s applications and noted that he was qualified in both mathematics and education. As fate would have it, the SIU math department did not have the funds to hire Ed, so the chairman forwarded Ed’s application to Burt Kaufman. At that time, Burt was director of the Comprehensive School Mathematics Program (CSMP), a federally-funded development project tasked with writing mathematically rigorous textbooks for talented middle and high school students. These books, which covered most of an undergraduate degree in mathematics, would eventually become known as the Elements of Mathematics (EM) series. Burt was looking for an editor who could bring consistency to the EM books. Up to that point, each year a different visiting professor would spend a sabbatical year working with Burt’s team to write and then test out the material with actual students. “These professors all had different writing styles and didn’t have much, if any, experience working with secondary school students,” explains Terry, who was also Burt’s son. As Terry recalls, his father decided to hire Ed sight unseen. In fact, the day that Ed received the reply from SIU explaining that there were no funds to hire him was the very same day that he received the offer letter from Burt. “The letter indicated that one of the CSMP advisors was on sabbatical in London, and I could go and interview him if I wanted to,” remembers Ed. “This I did, and we got on very well together.” Ed accepted Burt’s offer, which was unconditional, and began working as a Teacher&sol;Writer in August 1970. The work of writing the original EM books had begun in 1966. So by the time Ed joined the effort in 1970, he had the daunting task of taking four years of material written by multiple authors and smoothing everything out from a stylistic point of view, introducing cross-references between the books, and ensuring that they all had complete answer keys. By the time Ed was promoted to Senior Editor of the EM series in 1974, math teachers across the US had heard about these uniquely engaging textbooks. 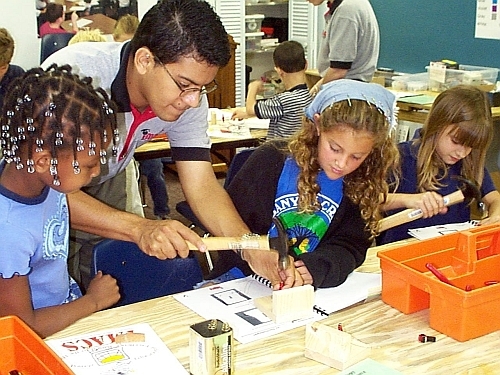 CSMP offered summer workshops to train teachers on the EM materials, and among Ed’s responsibilities were helping to run the workshops. After attending these workshops, a number of teachers started using the EM books in their classrooms. Ed then provided ongoing professional development support during the school year. Without a doubt, Ed’s profound influence on math education has rippled throughout the decades as the teachers he trained went on to bring the EM approach to students across the US, a number of whom became math educators themselves. Teachers who disagreed with the change either left or tried to preserve the status quo by complaining that Ed’s approach would not work with underperforming students. Undeterred, Ed volunteered to teach all the weaker students and showed that these concerns were unfounded. “Things turned around markedly during the six years I was there,” he is pleased to say. In his spare time and on weekends, Ed continued to work remotely as Senior Editor for CSMP. During summers he would return to the US to focus on editing the EM books and training teachers on how to use them. While at the University of Bath, renovations caused Ed to have to share an office with computer scientist Iain Ferguson who was working on a different research project hosted at the university. This was surely a serendipitous allocation of space because the professional collaboration between these two scholars would come to last more than 30 years and continues today. “In my first memory of collaborating with Ed, I was working on ways of displaying demographic and other geographic information on early desktop computers while he was editing a mathematics textbook,” recalls Iain. “I needed an algorithm for choosing which pixels to light up to draw a line across a screen.” Ed came to work the next day with such an algorithm, but Iain noticed immediately that something wasn’t quite right. After Ed gave it a few tweaks, it worked like a charm! 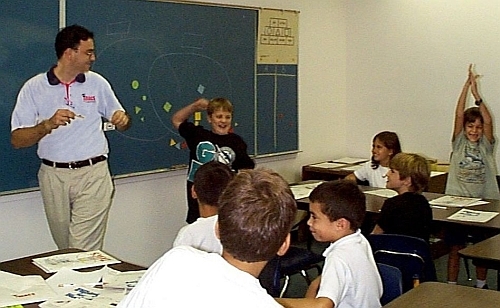 In 1985 while at the University of Bath, Ed was again recruited by Burt Kaufman who was then heading up an effort in Broward County, Florida to teach the EM curriculum in a large, diverse school district. Ed mentioned to Iain that he was thinking of accepting Burt’s offer to move to Fort Lauderdale and teach advanced mathematics to talented middle and high school students. “He gave me a couple of the old EM books to peruse,” recalls Iain. “I was astounded that anyone would try to teach mathematics of that type to students so young.” Iain was so intrigued that he convinced his then-fiancé-now-wife to emigrate to the US so that he could join Ed and Burt in this ambitious program known as Project MEGSSS (Mathematics Education for Gifted Secondary School Students). The MEGSSS students certainly benefited from what was then a rare opportunity to study modern mathematics with some of the best teachers in the world. On one memorable occasion, some of the students came up with original solutions to puzzles from the book To Mock a Mockingbird by mathematician, philosopher and author Raymond Smullyan. They sent their solutions to Smullyan who later telephoned Burt to offer his congratulations! For Ed, the best memories of MEGSSS are of the great kids that he got to work with, a good number of whom still keep in touch with him. Many went on to attend some of the most prestigious universities in the country followed by PhDs or accomplished careers in a wide variety of industries. Some are even parents of a new generation of EM students. In one of those “small world” moments, one of Ed’s star MEGSSS students ended up collaborating on research during his post-doctoral studies with a professor whose high school math teacher had attended Ed’s CSMP training workshops! An official accolade was in the mix too. In 1993 Ed was one of 24 teachers nationwide to be honored with the Mathematical Association of America’s Edyth May Sliffe Award for Distinguished High School Mathematics Teaching. Despite its successful track record for turning out some of the brightest math students in the country, MEGSSS was eliminated due to Florida’s statewide budget crisis in 1992. The project wound down at the end of the 1992-93 school year. With such highly valued knowledge and skills, Burt, Ed and Iain could have easily pursued lucrative careers in the nascent technology industry that was just then witnessing the rise of America Online. Instead, they joined with Terry to establish IMACS in July 1993 with the goal of making the Project MEGSSS curriculum available as an after-school enrichment program. What started with just 37 students in Plantation grew steadily to over 1,000 local students at four dedicated teaching centers and seven on-site school locations across South Florida. IMACS is also among the pioneers of distance-learning programs for precocious youth, having launched its first online course in 1998. Since then, over 30,000 students across the world have benefited from studying IMACS’ online curriculum. Looking back at the company’s steady growth over the past 25 years, one might think that success was a foregone conclusion. Not so! “Founding IMACS was a fairly heart-stopping venture,” recalls Ed. The four partners took no salary for two years while recruiting a small part-time workforce and trying to attract local students. It was during those early days that they developed the IMACS Mathematics Enrichment curriculum based on books that Ed and Burt (along with two CSMP advisors) wrote back in the 1970s. 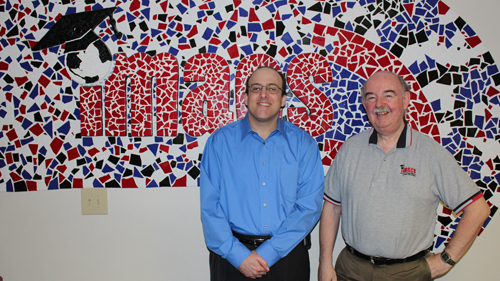 Ed’s mathematical brilliance and all-around problem-solving skills would prove to be invaluable once again as IMACS pursued its most recent curriculum development project — the ambitious Elements of Mathematics: Foundations (EMF) online program for talented middle school students. Left to right, IMACS co-founder and Senior Curriculum Developer Iain Ferguson; EMF student and blog post co-author Skylar Gamberg; IMACS co-founder and Senior Curriculum Developer Ed Martin; IMACS co-founder and President Terry Kaufman. 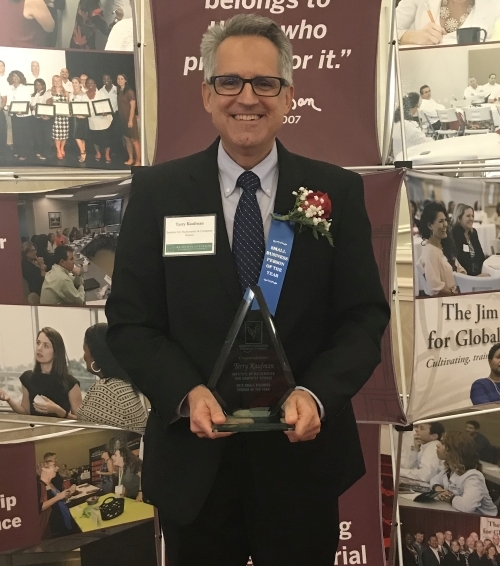 Ed’s focus these past four years has been on developing the EMF online curriculum in modern mathematics for highly advanced middle school students. Launched in 2012, EMF leverages advanced web technology to make EM’s Book 0: Intuitive Background material available anywhere in the world as an online, self-study program. This development is particularly important in locations where mathematically talented students have little or no access to appropriately challenging material or instruction that makes them have to think harder instead of merely work faster as with acceleration. Change can be uncomfortable, as Ed knows from his time at the High School of Glasgow. “The primary difficulty was and continues to be the inertia that characterizes mathematics teaching in the US,” laments Ed. Because EMF treats the subject as a unified whole built upon solid logical foundations, teachers would need to know how everything fits together and to be equipped for laying groundwork that allows for later developments to connect back. “It was partly because of the difficulty of finding suitably qualified teachers that we created EMF in the form of dynamic web-based courses supported by an online help forum,” he explains. EMF is currently licensed by a growing number of partner schools, school districts and after-school organizations that are looking for a cost-effective way to keep their most advanced math students engaged beyond what acceleration can offer. Having seen math education trends come and go over his career, Ed is all too familiar with how they squander the potential of bright students by failing to challenge them at their ability level. So it should come as no surprise that he would like to see the EMF program adopted by school systems all over the United States and around the world. How can EMF students learn modern mathematics, much of it college-level, with no teacher? The secret is in the painstakingly drafted text, all of which was written or edited by Ed. Whether through timeless passages from the original textbooks or in newly written material, Ed’s unparalleled ability to anticipate students’ thought processes and to write for a young audience without watering down content are why talented and motivated students can learn from EMF as if a master were there teaching it. It’s amazing to think that the EMF curriculum, which started with mathematicians from around the world traveling to the US to work with Burt, is now online and traveling out through the internet to students in over 20 countries! Needless to say, Ed is very proud of the role he played in bringing to fruition the vision that Burt had back in the 1960s of a math curriculum that is worthy of the nation’s and now the world’s brightest young minds and that will prepare them for the needs of tomorrow. Following the completion of EMF’s main development work this past summer, Ed and his wife returned to England where most of their families live. While he will continue to make occasional contributions to IMACS’ curriculum development efforts and teach the most advanced online IMACS students, Ed is looking forward to devoting more time to musical composition, which gives him almost as much pleasure as his math education activities. Of course, Ed is already missed at IMACS for many reasons, not the least of which is his British sense of humor. He’s got some wickedly clever jokes! “Like the one about the three types of mathematicians — those who can count and those who can’t,” says Iain with an impish grin. Dearest Ed, thank you for this wonderful parting wisdom and for so much more than words can fully express. May your rest be anything but routine! Skylar Gamberg is a 7th grade student from Weston, Florida where she lives with her parents and younger sister. 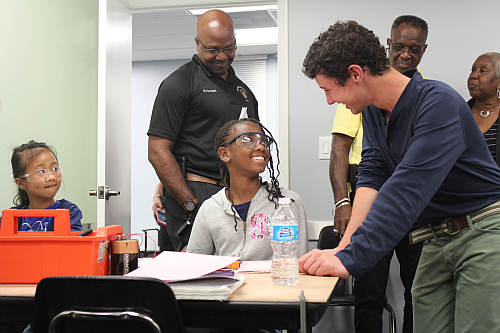 Skylar attends Falcon Cove Middle School and is part of Broward County Public School’s EMF program. She loves learning math and foreign languages. Skylar is grateful for the opportunity to work with Mr. Martin who has taught her much about mathematics, its history, and the lives of mathematicians, especially John Conway. Skylar credits Mr. Martin with influencing her future career choice and goals. She hopes to become a math teacher and a mathematician. Natasha Chen was Ed’s student during her 10th, 11th and 12th grade years in Broward’s Project MEGSSS program. She went on to earn her BS in Mathematics as a Trustee Scholar at the University of Southern California followed by an MBA from New York University and career in finance. Natasha now balances her duties as Communications Director for IMACS with being the homeschool parent of an EMF and online IMACS student. She has fond memories of Ed’s spellbinding lessons, especially on group theory, and his infinite patience. The co-authors are immensely grateful to Ed, Iain and Terry for taking the time to answer their interview questions in detail. Special thanks go to Ed for organizing, editing and writing the foreword to Burt Kaufman: An Appreciation, which provided essential background material for this article. Join tens of thousands of students who have benefited from Ed Martin’s groundbreaking work in math education. 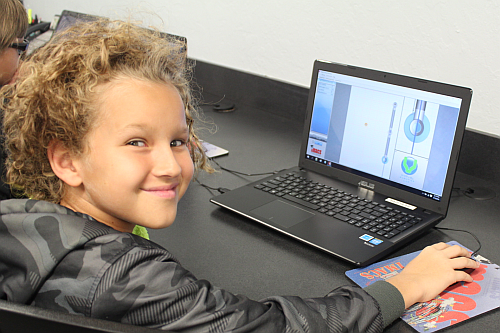 Enroll in IMACS after-school and weekend enrichment classes, fun-filled summer camps, homeschool enrichment classes, or advanced online courses today! Want EMF in your school? Share EMFmath.com/schools with the relevant decision-makers. competition while playing the String Game. 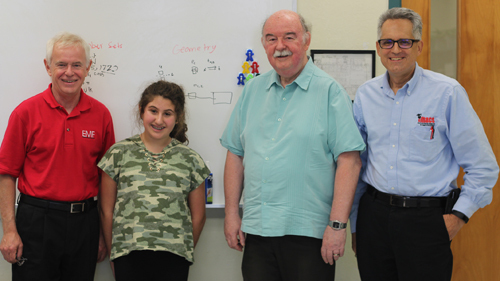 The Institute for Mathematics and Computer Science (IMACS) celebrates 25 years of serving talented children by awarding $25,000 in a mix of scholarships to enroll in its online courses or to attend its South Florida after-school program. 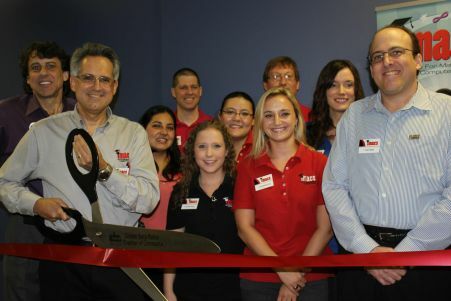 From humble beginnings of just 37 students in Plantation, Florida, IMACS has grown to include four South Florida learning centers and serves more than 4,500 students throughout the United States and in more than 15 countries. bright, young students as he ever was. Broward County Public Schools (BCPS), the sixth largest district in the US, recognizes the advantages of IMACS' approach. In 2015, BCPS selected the institute’s Elements of Mathematics: Foundations (EMF) online program as full-time curriculum for its top middle school math students. EMF covers pre-algebra through precalculus plus several university-level topics with depth and rigor that far exceeds traditional gifted math programs. Barrington 220 School District in Illinois recently became the second public school district to license EMF for its gifted students. "EMF teaches very advanced mathematical concepts, yet the presentation and problem sets are designed in a way that allows middle school kids to learn the material online," noted Maxim Chekmasov, who holds a Ph.D. in mathematics and whose son Andrei is in the program. IMACS' effort to develop the EMF online math program. IMACS' focus on logical thinking and creative problem-solving has produced results for its graduates. Many go on to excel at top universities of their choice, including Stanford, Harvard, Princeton, MIT and Caltech, and pursue careers in fields as varied as technology, medicine, engineering, law and academia. Ryan Newton, seen here helping a fellow IMACS student, went on to earn his Ph.D.
in Electrical Engineering and Computer Science at MIT. IMACS classes and online courses challenge students by ability level, not by age. Online courses are self-paced and accessible 24/7 so that students can work at their individual pace and at times that fit their schedule. Local students are placed into appropriately challenging classes and moved up as they demonstrate mastery. has been one true constant. IMACS will raffle off 20 scholarships to enroll in the EMF Pre-Algebra Plus online course and five scholarships to enroll in an eIMACS university-level course in computer science or mathematical logic. On each Tuesday from July 25th to September 5th, IMACS will randomly select winners from among students who score at least 30 on the EMF Aptitude Test or attain a qualifying score on the eIMACS Aptitude Test in the seven days prior to a raffle drawing. Parents may register for the EMF Aptitude Test at www.emfmath.com and for the eIMACS Aptitude Test at www.eimacs.com. To be entered in a scholarship raffle for local classes, prospective South Florida students must attend a free IMACS placement class any time between August 7th and September 30th. 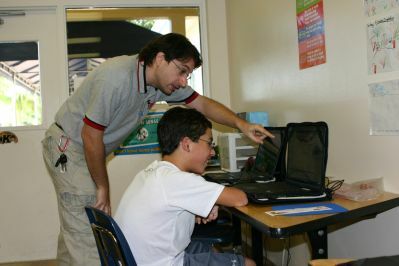 Parents may schedule a placement class by calling IMACS at 954.791.2333 or by reserving their spot at www.imacs.org. Raffles for online courses are open to new students only. Limit one entry per student. Online winners will be notified by email, so be sure to check the email account you used when registering. he is helping to sponsor at IMACS Hi-Tech Summer Camp. 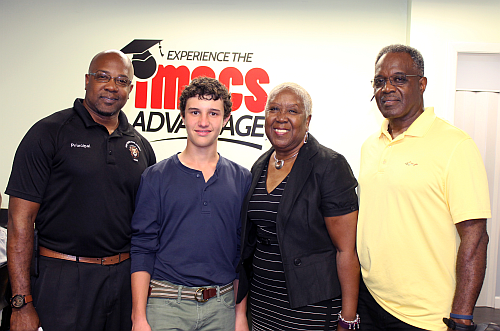 The Institute For Mathematics and Computer Science (IMACS) has received a grant of $5,000 from the Multiplied Foundation Fund of the Community Foundation of Broward to provide full scholarships worth over $10,000 for 20 students to enroll in IMACS' 2016 Hi-Tech Summer Camp. The Multiplied Foundation was founded by 14-year old IMACS student, Peyton Robertson, with the mission of supporting and expanding STEM (science, technology, engineering and math) education. Peyton has a deep appreciation for how early exposure to enriching STEM activities can motivate a young person. At 11 years old, he won the Discovery Education 3M Young Scientist Challenge. By 14, he was awarded three patents. Peyton credits his academic accomplishments, in part, to the strong foundation in mathematical thinking that he developed while attending IMACS: "The early skills I developed at IMACS helped me to have a deeper understanding of the math and computer science classes that I have taken in school. My hope is that other students will benefit from the foundation that the IMACS program can provide." 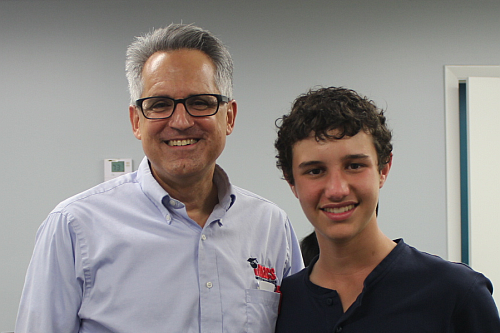 Peyton with IMACS President Terry Kaufman. 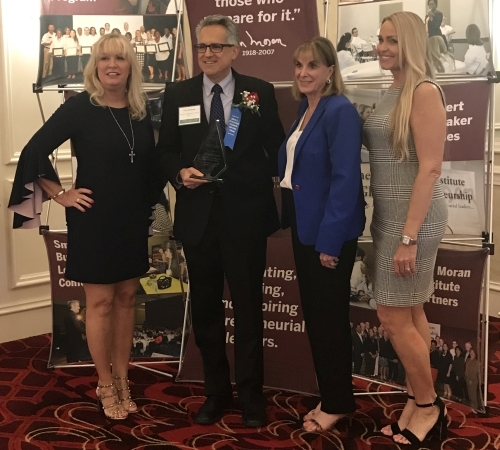 "IMACS is honored to be working with the Multiplied Foundation to provide scholarships to 20 very deserving students," said IMACS President Terry Kaufman. "Bright and curious minds come from all backgrounds, and we all need to do more to identify and nurture these kids. We thank the Community Foundation of Broward for making this opportunity possible." Camp scholarships were awarded to rising 4th through 9th graders who have a desire to build their math and logical reasoning abilities but who would otherwise not have the resources to attend. Recipients were selected from applicants at Piney Grove Boys Academy (PGBA) in Lauderdale Lakes and "I Have A Dream" Foundation in Miami. Programming & Virtual Robotics class at IMACS. James Wilson III, a rising 5th grader at PGBA, is excited to attend the camp. "Every day we get to do a cool project and learn something new. I can't wait for tomorrow," exclaimed James. "It's great to see my son, who is very athletic and into sports, also be so intrigued and interested in technology thanks to his time with the program," observed James's mother, Melissa Mata. "The exposure he's getting at IMACS is definitely priceless." for providing this opportunity for their students. Frances Bolden, Educational Administrator at PGBA, is also impressed with IMACS: "I could tell from meeting the staff and touring the facilities that IMACS is about challenging students through the latest technology to expand their knowledge to a new level." She added, "Everyone gave us a warm welcome, and I left knowing that our students were in good hands." IMACS Hi-Tech Summer Camp program consists of logic puzzles, computer programming, virtual robotics, electronics, and an element of competition. Working solo and in teams, kids learn how to think logically and creatively while having fun. The Multiplied Foundation's mission is to support and expand STEM (science, technology, engineering, and math) education. The Multiplied Foundation was founded by Peyton Robertson and seeded with the $100,000 he won during the 2015 Pebble Beach Pro Am's Chip Off Challenge. Each year, the Multiplied Foundation distributes 5% of its 12 quarter rated average value to organizations supporting STEM education. For more information, visit multipliedfoundation.org. The Institute For Mathematics and Computer Science is an independent teaching and educational research institute focused on helping students reach their highest potential in math, computer science and logical reasoning. For more information, visit imacs.org. 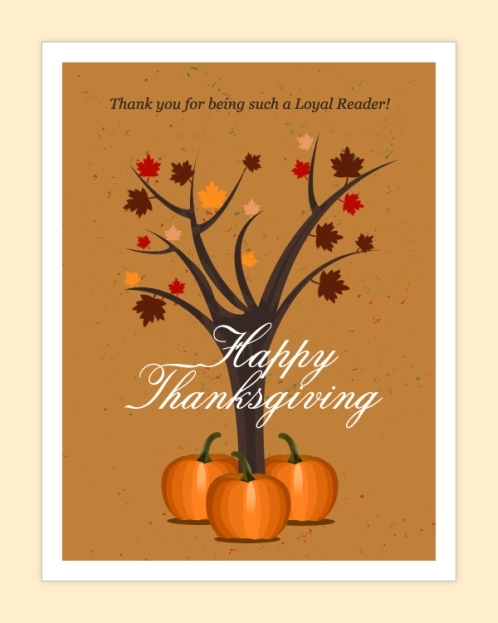 IMACS hopes this Thanksgiving day finds you with much to be thankful for as you enjoy the company of friends and loved ones. To our students, parents, instructors, staff and partner schools — you have our deepest appreciation for making this another fun-filled year of learning and achievement! The IMACS Blog will return next Thursday, December 5, with a regular feature article. Happy Thanksgiving! Give the gift of an IMACS education! Enroll your child in our gifted math and online computer science courses. Like IMACS on Facebook to get weekly IMACS logic puzzles. It’s winter at IMACS headquarters in South Florida. What does that mean? Sunshine. Temperature in the 70s and 80s. New Yorkers at the mall. Gotta love it! With the holidays around the corner, you might be wondering what to get for the math or science lover in your family. So we asked members of our IMACS family to share some of their favorite books or movies for our Winter 2011 Staff Picks list. Instructors Guy Barmoha, Frances Keiper and Jeff Piskun offered some terrific recommendations. If you’re still in need of ideas, check out more favorites from our Summer 2011 Staff Picks blog post. 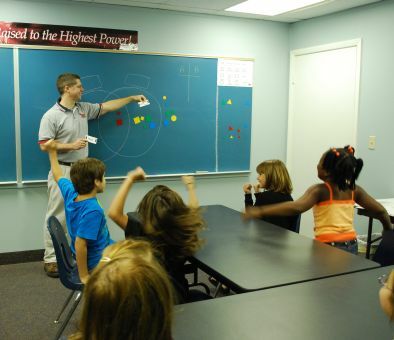 Guy has a BS in Mathematics from Florida State University and a Master of Science in Teaching Mathematics from Florida Atlantic University, where he continues to serve as a Teaching Assistant. 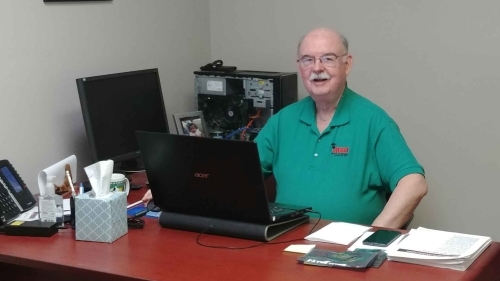 He has been a part-time instructor with IMACS since 1995 and has taught all levels of our Mathematics Enrichment courses as well as the summer Logic Puzzles course, a Computer Enrichment course, and an Electronic course. “There are quite a few books that I enjoyed reading, not all related to mathematics. Even though we are mathematics educators, we all understand the importance of literacy. It is hard for me to pick a favorite book, so I will choose two to discuss. One that has some sentimental value, especially since we are discussing IMACS, is called What Is the Name of This Book? by Raymond Smullyan. This is more a compilation of logic puzzles than a novel; however, there are surely stories told within the book. You may ask why I chose this book. Well, the answer is simple – this is the book that reminds me of learning to teach at IMACS. In this book, students have to solve logic puzzles to find their way around the Island of Knights and Knaves, where Knights always tell the truth and Knaves always lie. Many of our logic puzzles that we use at IMACS are based on the problems in this book and other Raymond Smullyan books. I can still see our late founder, Burt Kaufman, teaching from this book and showing all the cases and subcases that students have to consider to solve the puzzles. 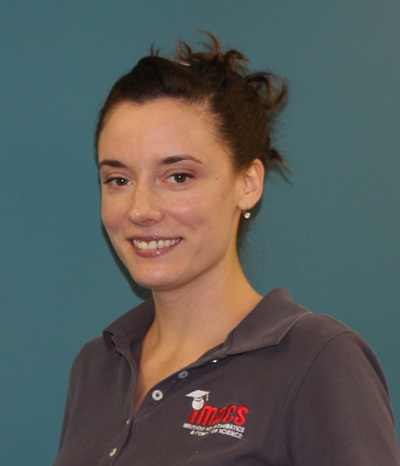 Frances has a BS in Mathematics from Stetson University and an MS in Applied Math from the University of Central Florida. 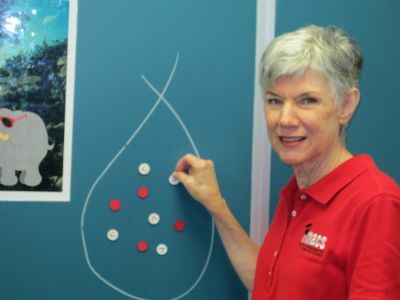 She has been teaching part-time for IMACS since 2003 and previously taught math at Broward College. Frances worked for IBM Federal Systems Division at Cape Canaveral, Vandenberg AFB, and in Houston on Space Shuttle ground support software and on an upgrade to Mission Control flight information systems. She’s also had a few international assignments with IBM in Melbourne, Australia, where she created software and hardware upgrades for various banks, and in Kuala Lumpur, Malaysia, where she managed a project for the state-owned telephone company. “I loved Dune by Frank Herbert – the book, not the movie. I got totally lost in the fantastic but somehow believable world Herbert created and just hated it when I finished the book. (I recommend skipping the sequel.) Herbert created a physical world full of sand containing creatures perfectly suited to that environment such as giant worms that travel rapidly over and through the sand. Then he populated the world with people who had their own elaborate social order and customs, again perfectly suited to that world but unlike anything we know on earth. The magic of the book is that it is so rich in detail and written so vividly that it becomes very real to the reader. You are drawn into this made-up universe. I don’t believe, even amidst the mountains of details regarding the physical and the social systems of Dune, that there is a single bit that is illogical. It all fits together so beautifully. You just have to believe. For a more recent favorite, I really liked The Disappearing Spoon by Sam Kean. It’s full of quirky tales from the Periodic Table. I loved the play Proof, which I saw at American Heritage Schools’ Mosaic Theater. And I liked the movie, too. It’s about a famous mathematician who is working incredibly hard to develop a proof, something that will be acclaimed the world over. He is an old man in the story and dies. His daughter, a mathematician in her own right, cares for him and grieves at his death. At first you’re not sure if the old mathematician was a genius or crazy. His behavior was bizarre. After a while, you’re convinced he was crazy. Then a young math student shows up and trolls through the old man’s notebooks looking to find or maybe steal his brilliant but maybe non-existent proof. The twist toward the end is that the student finds the brilliant proof, but the person who developed it is the old mathematician’s daughter! I especially loved the fact that the hero is a FEMALE mathematician! 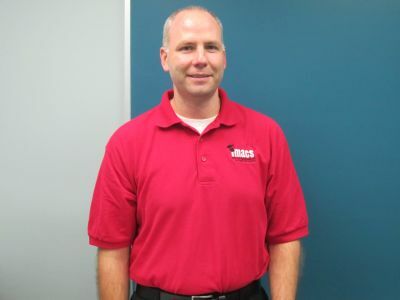 Jeff has a BS in Mathematics from Villanova University and an MS in Sports Administration from St. Thomas University. 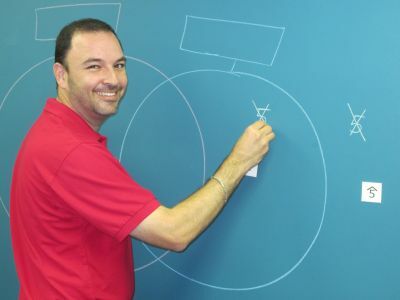 He started with IMACS in 2003 and is currently one of our part-time instructors. Jeff also teaches middle school math. A big sports enthusiast, he worked for over six years in sports and entertainment venue management for several professional teams, including the Florida Marlins, Miami Heat, and Florida Panthers. “Two books I would recommend are Freakonomics and Super Freakonomics by Steven Levitt and Stephen Dubner. These two economists use basic economic principals and basic statistics to look at real-life situations and investigate the hidden side of everything. The books are written in a fun but eye-opening manner and explain things like: why charging parents late pickup fees will actually increase late pickups not deter them; why your realtor actually does not have your best interest at heart; how walking drunk is more dangerous than driving drunk (not endorsed! ); that many government programs actually have the opposite effect than intended (shocker). Parents should note that the books address some adult topics, so beware, but they are really an eye-opening read. Guy, Frances and Jeff – Thank you for the awesome recommendations! 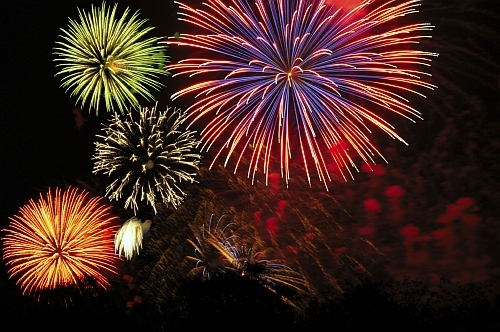 To our readers – Thank you for making our blog a part of your online experience. We sincerely appreciate your time, comments and feedback. Our next post on December 22nd will be a classic from the IMACS vault. All the best to you and your families for a wonderful holiday season and happy and healthy New Year! Add IMACS to your list of top picks for gifted math and computer programming classes. Sign up for our free aptitude test. Play along with IMACS weekly logic puzzles on Facebook. IMACS’ Director of Curriculum Development, Dr. Ted Sweet, discusses the importance of challenging the gifted and talented student in order to reach his or her full potential and to avoid common pitfalls. 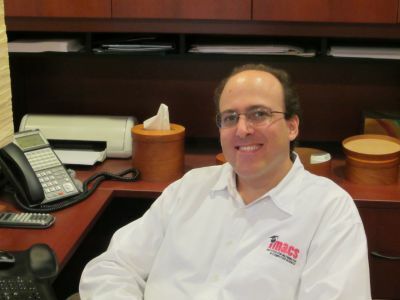 Ted is a graduate of Project MEGSSS, a predecessor program to IMACS. He completed his undergraduate studies at the University of Miami and his Ph.D. in mathematics at UCLA. Ted joined IMACS in 1998. Burt Kaufman, one of the foremost American mathematics curriculum developers of the last half-century (and my high school mentor), once made an observation that resonates with many educators of bright and talented children. It was that good grades obtained through little or no effort ultimately led to poor study habits and general intellectual laziness. Even parents of children enrolled in “gifted” programs of the type currently in favor with many public school systems sometimes complain that their child is “coasting” at school. Unfortunately, students that solve every problem with ease often get out of the habit of focusing and thinking systematically, skills they will need if they are to reach their full potential. Not surprisingly, it can be a challenge for parents to explain to their bright children that getting an ‘A’ may not be enough to ensure their future academic success. Bright students whose mental agility and intuitive cognitive abilities are not sufficiently challenged can start to develop problems during elementary school. These may manifest themselves in the form of so-called “careless errors” when doing arithmetical problems, for example. And talented students who have not been stretched intellectually will typically “give up too easily” when they finally encounter challenging problems that require careful analysis. In extreme cases, behavioral problems may start to develop. The question of how to satisfy the intellectual needs of bright and talented children has been studied in depth by the professionals at IMACS. Our research demonstrates that bright students who are exposed to curricula that foster the careful, logical analysis of significant math problems benefit in many fields outside mathematics. A student who learns to truly think does not leave that skill in the classroom. What classes that you coasted through do you wish had been more challenging for you? Challenge yourself to be your best with IMACS. Take our free aptitude test. Follow IMACS on Facebook.